David completed his Undergraduate Degree at the Chicago College of Performing Arts at Roosevelt University in 2013 with Shmuel Ashkenasi and Vadim Gluzman, and his Master’s Degree at the Cleveland Institute of Music in 2015 with William Preucil. He previously served as the Assistant Concertmaster of the ProMusica Chamber Orchestra in Columbus, Ohio, and played 3 seasons with the Calgary Philharmonic Orchestra (2 years as Tutti 1st Violin, and 1 year as the Assistant Concertmaster). 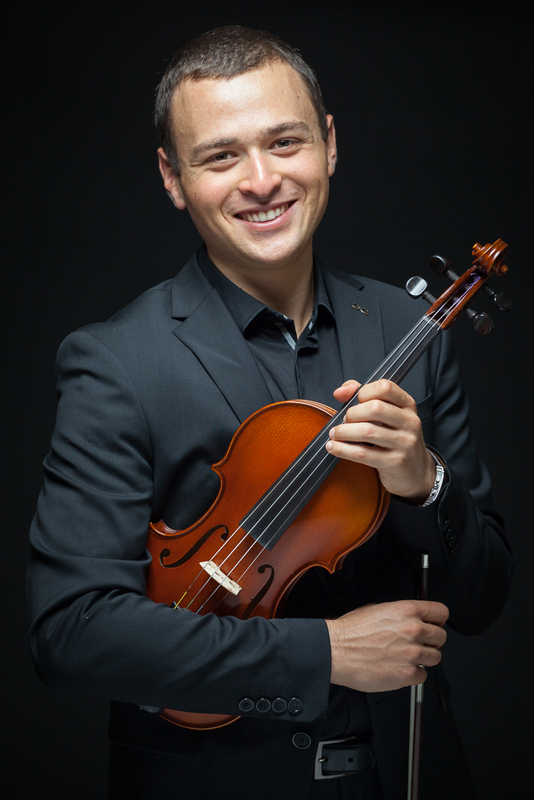 He was also invited to perform as guest Associate Concertmaster with the Jalisco Philharmonic during the entire summer of 2015 in Guadalajara, Mexico. David is joining the Vancouver Symphony Orchestra as the new Assistant Concertmaster at the beginning of the 2018/19 season. Due to a generous gift by an anonymous donor in Boston, David plays on a 1923 Stefano Scarampella violin.